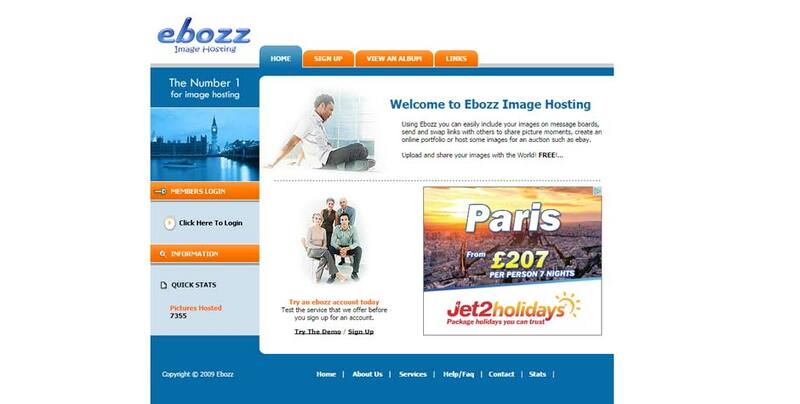 Ebozz is a site designed as a image hosting service, which provides people all over the world the opportunity to share pictures by creating a gallery, and using images for various sites such as forums and ebay. With over 1,000 users and growing daily ebozz certainly has grown big and strong. Peter come to us with an initial idea which we then developed with the use of php and MySQL this along with hosted on our S1TE dedicated servers means the website is ultra reliable and always available to his clients.